There is something about Italy, that speaks to my soul in some old way. Perhaps it’s simply European sensibility, but where other cultures in Europe lean too much one way of the other, Italy always seem to have the right mix of carefree, culture and humanity. My previous day in Florence (I only had two) was grey and rainy, but the second day was ablaze with sun in the crisp winter air. I spent most of my previous day cold and wet shivering in the vast spaces of Santa Maria del Fiore. The last hike was up Giotto’s Campanile and I saved it for perhaps a perfect day. This view was one of the first I saw and perhaps one of my favorite. It hints at the majesty of the church without going overboard. Much of the view, is of the city, of the people without who, the grand church has no purpose. 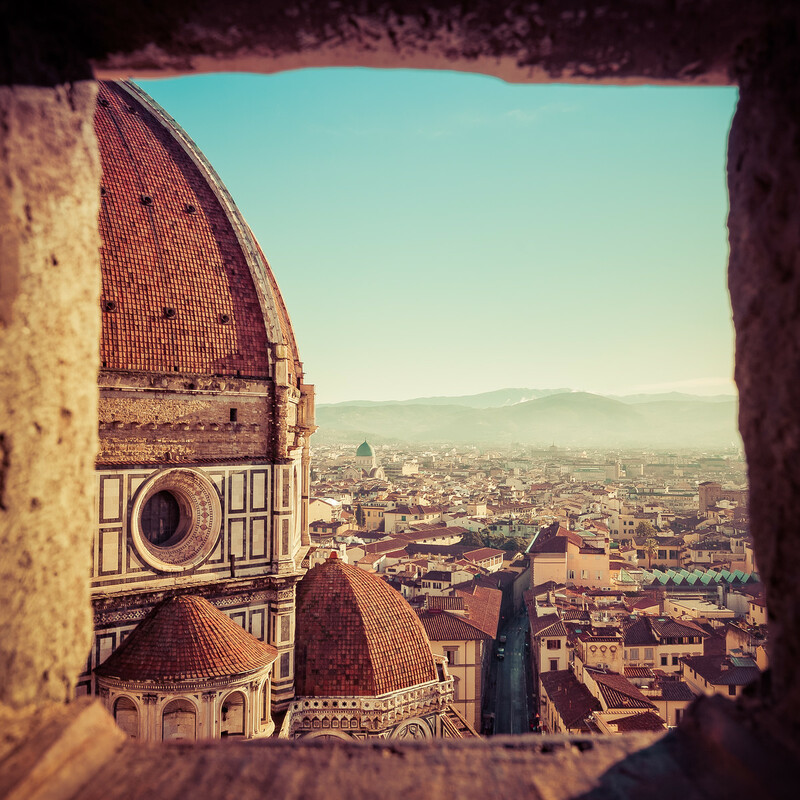 Posted in Florence, HDR Photography, Italy, Travel, UNESCO World Heritage and tagged Catholic, church, dome, Europe, Florence, Italy by Bri Duncan.